Teen Titans Go! Deck-Building Game is set to hit the shelves on November 29th. 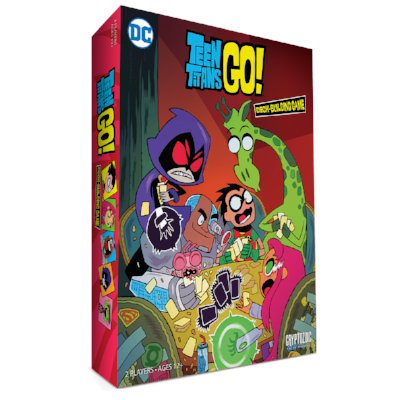 In this two-player game based on the popular TV show Teen Titans Go!, each player becomes a member of the team—Robin, Starfire, Cyborg, Beast Boy, or Raven—and engages in a friendly competition to take down DC Super-Villains such as Blackfire and the H.I.V.E. Five. Each player starts with one DC Super Hero, but is able to recruit “Sidekicks,” other Titans who can help the player. 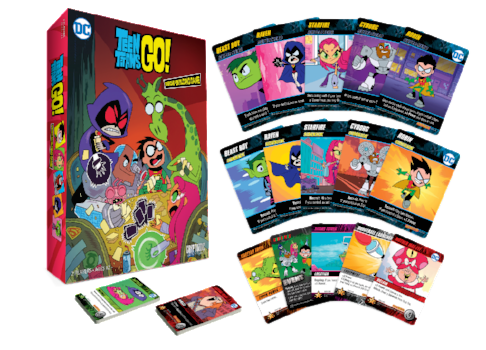 Each DC Super Hero has a Sidekick version on the back with information on how to recruit it. Is this a game that should end up under your Christmas tree? Let us know in the comment section below. Also, don't forget to Like, Share and Subscribe to all things Constant Collectible so YOU can keep up to date with all the news and reviews from a world of GEEK CULTURE.